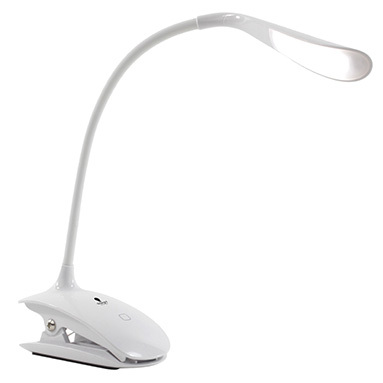 Daylight Smart Clip-On Lamp - DN1380. This Clip-On Daylight Lamp is easily portable and flexible to direct daylight where you need it most. It is easily attachable to a variety of surfaces including books, needlework frames, tables and laptops.